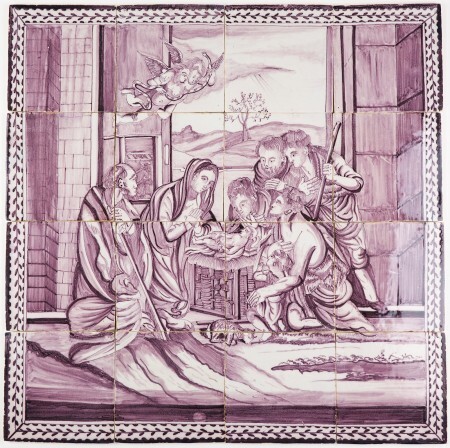 This very rare early 19th century Delft tile mural depicts baby Jesus in the manger, surrounded by Maria, Joseph and the shepherds. At the front an angel is kneeling and a lamb lies asleep. Two more angels are depicted in the air observing the scene. The mural was fabricated around 1810, most probably by pottery 'Agter ‘t Weystraat' in the Dutch city of Utrecht. 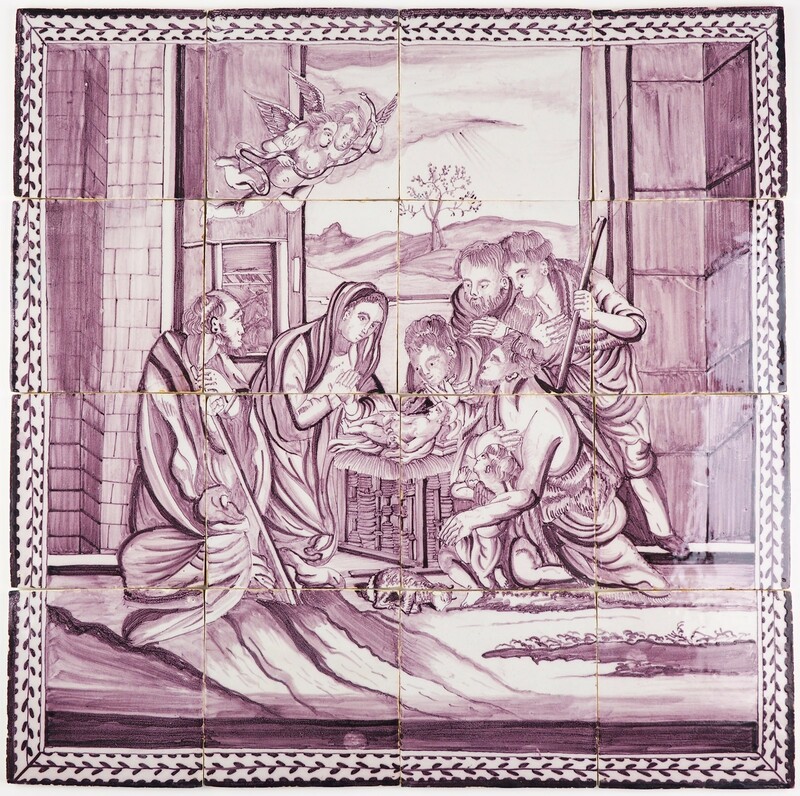 Antique Delft tile murals depicting baby Jesus in the manger are extremely rare. 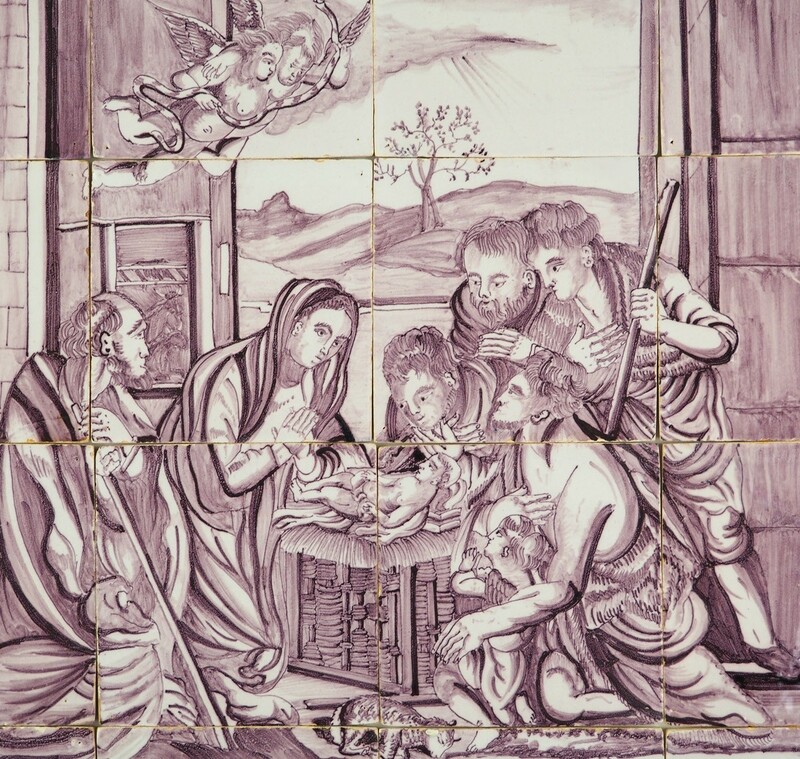 We have more than 50 years of experience in antique Delft tiles and only had two of these murals. This is the second one. 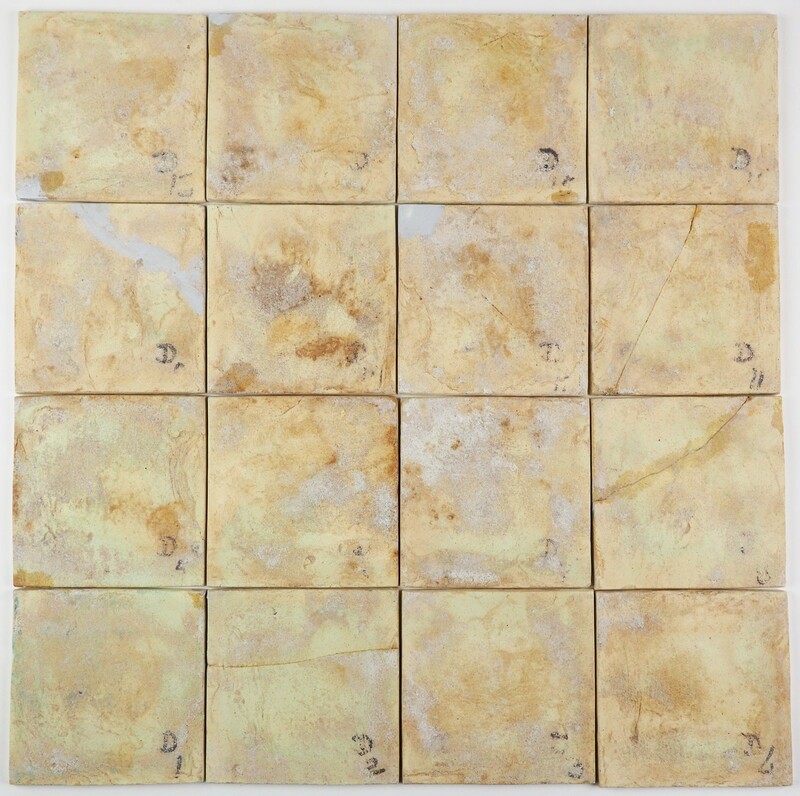 It has completely been prepared to be reused for any kind of tiling project. Feel free to contact us for a full condition report.